We trim and prune back overgrown trees. We can remove trees before they can damage property. Don't let that old stump be an eye sore any longer. Big storms leave a bigger mess. Let the experts clean it up! 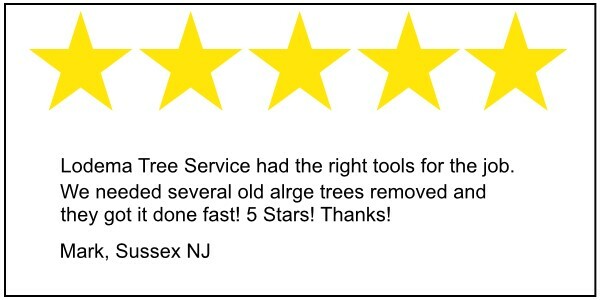 We provide the premier tree removal service in the Sussex NJ area. No job is too big. Tree trimming services bring back your landscapes beauty. We offer fast clean stump grinding service in the Sussex, NJ area. Get rid of ugly stumps. We provide FREE tree service estimates. Schedule an estimate today. We can handle all your tree service needs including tree removal, tree trimming, stump grinding, land clearing, and emergency storm damage debris removal. Why hire a tree service company? Tree service is a dangerous job. There are many instances where a tree that needs to be removed or trimmed has a very good chance of causing damage to property. The hazards of climbing high up a tree with powerful saws and equipment is not something to take lightly and can result is serious bodily injury to someone with little experience. Bottom line we know how to keep your property safe from perils caused by trees and tree limbs safely. Are all tree service companies the same? Is it just price? Why hire us at Lodema Tree Service? For affordable tree services from experienced tree cutters Lodema Tree Service is your answer. We offer tree removal, tree trimming, pruning, stump grinding, debris removal, land clearing, and storm damage removal to residents of Sussex, Sparta, Newton, Wayne, Randolph, Butler, Caldwell, Wyckoff, Rockaway, Boonton, Oak Ridge NJ and surrounding areas. We are your one-stop shop for all your tree service needs in the area. 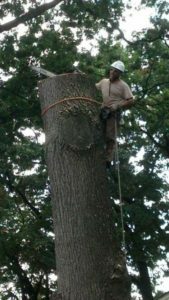 Make sure you get the best service from a professional tree service with the most competitive prices in Sussex, Sparta, Newton, Wayne, Randolph, Butler, Caldwell, Wyckoff, Rockaway, Boonton, and Oak Ridge NJ from Lodema Tree Service. 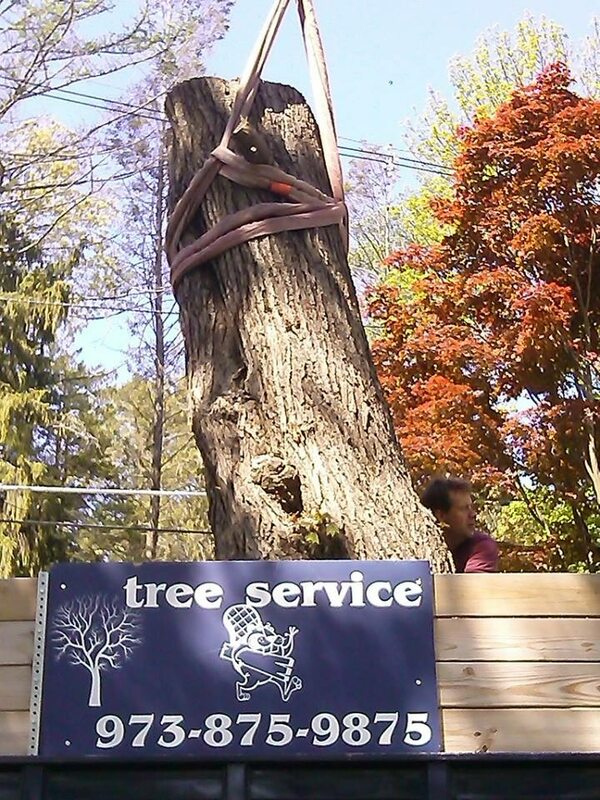 We are the premier tree service company in the NJ area, offering low prices and great service. With some of the top tree service professionals, you can be sure that you are receiving the best service and support when it comes to your tree removal or trimming needs. For the top tree removal experts, look no further than Lodema Tree Service. Give us a call to receive quotes, information and to get an appointment instantly. How do you purchase tree service? Contact us (973) 875-9875 or use our estimate request form. You can even use your smart phone to take a short video describing your tree service job and upload it to us through our website. We will be able to give you a rough estimate over the phone and schedule a time to complete the tree service job. We accept all major credit cards, cash, and check.